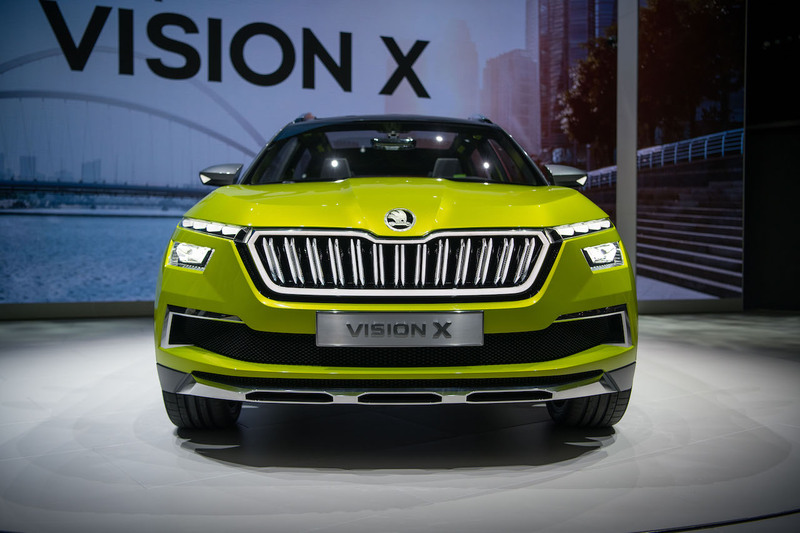 Skoda has revealed the interior of the Kamiq, the production version of the Vision X concept. The new sub-compact SUV will debut at the 2019 Geneva Motor Show in March. The interior of the Skoda Kamiq looks like it was lifted straight from the Skoda Scala. While the exterior of the new model will mimic the concept to a great extent, the interior looks substantially different. The new SUV will be underpinned by the MQB-A0 platform, which will be shared with the likes of Seat Ibiza and Mk6 VW Polo. The Skoda Kamiq should be available with a wide range of engine options, including the 1.0-litre TSI three-cylinder petrol unit, the 1.5-litre TSI Evo four-cylinder petrol motor and the 1.6-litre TDI four-cylinder oil-burner. The peak power outputs of the engine options are expected to range from 95 PS to 150 PS. Transmission options are likely to include 5-speed manual, 6-speed manual and 7-speed DSG dual-clutch automatic units. AWD isn't expected to be offered. The interior of the Skoda Kamiq should offer a long list of equipment, including a large touchscreen infotainment unit with sat-nav, Apple CarPlay and Android Auto, Skoda Phonebox wireless smartphone charger and signal booster, and heated seats. The advanced driving assistance features on offer will include Adaptive Cruise Control, Rear Cross Traffic Alert and Blind Spot Detection. The MQB-A0-IN-based-Skoda SUV will be a variation of the Skoda Kamiq that will debut at the Geneva Motor Show. The Skoda Kamiq will launch in the European markets later this year. In India, the VW Group could decide to bring in a derivative based on the MQB A0 IN platform. The model could arrive here in early 2021 and would follow the Skoda Karoq, which will be launched after the roll-out of BSVI emission norms in April 2020.